It being an easy Saturday, I’d like to share with you a little gift that brought a huge smile to my face – a phone charm in the shape of a handbag! 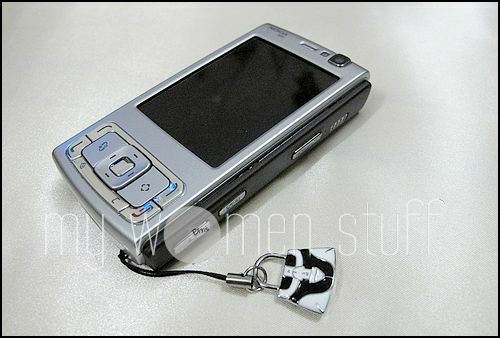 Now, I’m probably the last person you’d see having a phone charm dangle from my phone. I used to look askance at the girls who pull out phones dangling with charms and bells and whistles… but no longer! The charm was a gift from a friend who knows all too well that my love for bags is paramount. It takes precedence even over red lipstick. Yes, you got that right indeedy! Bags over lipstick! Happy Saturday everyone! I’m off for a spot of dim sum! Mmmm…. PREVIOUS POST: Emma Watson makes me want a Burberry Trench Coat! 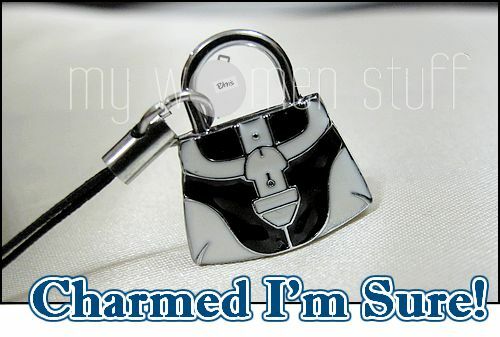 lol – I too don’t think I’ll ever have a charm on my cellphone, but the one you are sporting is so cute! small or big, 2-D or 3-D, with light or without, mirror, furry girlie charms,……………………. what is my phone charm now? Haha… I was never one for phone charms and I’d likely stop at this one – hope you find your next charm!